I find it interesting that news about mobile devices running Windows 8 seem to concentrate almost exclusively on tablet PCs. Is that because the majority of mobile devices will be touch-based tablets? Or are developers holding back on laptops to highlight products that the Windows 8 operating system has made possible in the Windows ecosystem? Microsoft CEO Steve Ballmer recently mentioned that Microsoft Surface tablets would fall in the $300 to $800 price range. I expect Surface RT devices, that is devices running a version of Windows RT, to be considerably cheaper than Surface Pro devices, which run a full version of the Windows operating system. The main difference between the two? Windows Pro allows the installation and execution of traditional desktop applications, while Windows RT only that of apps made available in the Windows Store. The price range makes it likely that the Surface RT with 32 Gigabyte of storage will retail for $300 to $400, the 64 Gigabyte version for about $400-500, the Surface Pro 64 Gigabyte version for about $550 to $650, and the Surface Pro with 128 Gigabyte storage for $700 to $799. Asus Vivo Tab RT (TF600T) is offered at a starting price of $599. It is a 10.1" device powered by a Nvidia Tegra 3 quad-core cpu. Asus Vivo Tab (TF810C) is offered at a starting price of $799. The 11.6" device is powered by an Intel Atom Z2760 processor. Asus Taichi starts at $1299. 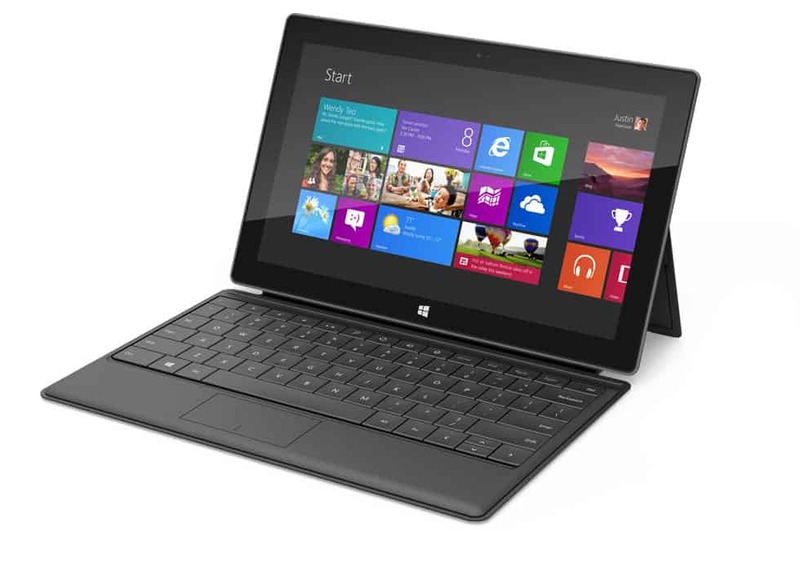 It features a 11.6 dual Full HD 1920x1080 display that makes notebook and tablet functionality available. The Vivo devices come without keyboard dock which is separately available for $199. The dock not only adds a physical keyboard to the device but also extra battery power. Samsung too is preparing devices that it wants to launch on October 26, the day the Windows 8 operating system is officially launching. Two devices have been announced so far. Samsung Series 5 is powered by an Atom-based Clover Trail processor and a screen supporting a resolution of 1366x768 and Windows 8 Pro. It will be available starting $649 with 2 Gigabyte of Ram and a 64 Gigabyte solid state drive. Samsung Series 7 Slate or Ativ tabs is powered by an Core i5 processor, features a screen supporting 1080p and ships with 4 Gigabyte of memory and a 128 Gigabyte solid state drive. It will be available for $1119. While it is too early to judge from the numbers provided, it seems likely that most manufacturers will price their RT tablets at around $500 to $700 with the possibility that some undercut that price. Windows 8 Pro tablets on the other hand are offered at a greater price diversity, with low end tablets starting at about $650 and high end tablets at about $1100. That's quite expensive for a tablet if you compare it to comparable tablets powered by iOS or Android. How much would you pay for a Windows RT or Windows 8 Pro tablet, and what features and specs would you expect from it? As I don’t need any of Win 8 special features (like Modern UI or Store) at all, I expect what I wantув from EEE 1015 and Win 7: all my old apps to work, long work on battery. If Asus can provide longer work on battery, working Win 7 and by lower price — why I need to pay more for Win 8 Modern Crap? $800 for an Atom netbook. Wow, talk about ripoff. I’m definitely picking up the Asus Taichi 13 incher when it comes out. It’s i7 and does what I want with no weight. Especially since it has two touch screens. One where it’s normally at and the other on the back of the normal LCD. I’m looking forward to the Surface Pro, but need to test it before I make a decision. Depends on how good the hardware is going to be. Win8 RT pretty much is the same oversized MP3 player like all the iPads and friends are, and I don’t really see a point in paying more than $250 for stuff like that… Win8 PRO is a real computer tablet, a bit different than normal tablets like the x220t and might be worth a try. Depending on the functionality of the keyboard a price equivalent to ultrabooks of similar size should be acceptable. Those prices aren’t going to shake things up. I think I’ll go with an ultrabook instead. It’s nice to at least have an article remember the Samsung pricing. I’ve been ranting about this all day (though, I would take Samsung’s pricing as a measure for the ASUS pricing’s validity. I doubt someone would pay $50 less than a full Windows 8 tablet for the RT tablet. They said that their Windows 8 tablets would be $600-$700, with the RT version being $200-$300 less than that. To me, that hints at a $400 RT price with the Pro being $600-$700. Interesting, so Lenovo is using the same price range that Microsoft used for its Surface line (Ballmer said $700-$800 IIRC). I’d really like to know specs for a $300 Windows RT tablet, especially if those tablets come with 16 or 32 Gigabyte of storage. I can’t really believe that they will only have 16 GB considering that the OS should use a big part of that already if the desktop version of Windows 8 is anything to go by. I’m not really considering buying an RT tablet for myself as I think it is too limited apps-wise. Now all should know why MS has to build the tablet themselves. Win8 will sure fail if MS let others to market tablets. Starter (= Windows 8 RT) and failed with Windows 7 . These will fail as well. So it seems that if I need to use enterprise-wide apps (on the go) that function best on Firefox, I will need to wait for the Surface Pro so that I can download (Firefox) from the Web? Yes that is right, unless Mozilla somehow manages to produce a Windows Store apps only version of the browser. Not sure if Mozilla thinks about that. I’d pay up to $750 for a pro tablet. Samsung series 5 probly. wait to see other companies pricing. The problem with calling a Windows 8 Pro a Tablet is that it isn’t. Effectively it’s a Touch Laptop. Which is different. It’s something worth keeping in mind. Hoping these numbers are correct, I would love a Windows 8 Tablet.